Home away from home for my pup, she loves her retreats to Dawg Tired! 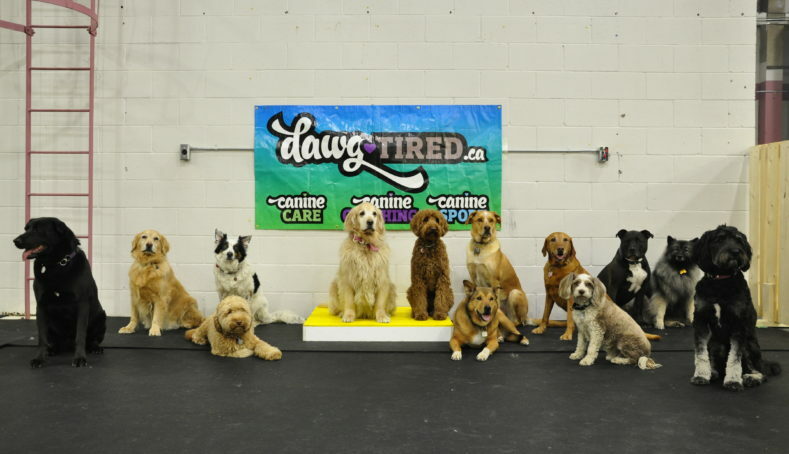 Dawg Tired has curateded an experience for dogs so they can get the most out of their day. In our new 15,000sq.ft facility the dogs have loads of space to do what they do best, just be a dog. From the specialized activities like agility, scent work, on leash walks, free play, games to teach patience, to calming aromatherapy and music, to athletic non-slip, specific hardness, rubber flooring and wrapping it all up with well trained, well educated Coaches to work with their small packs and you have the perfect recipe for a perfect day at dayCAMP. From working with packs of dogs for almost 15 years now the people of Dawg Tired know what it takes to make sure every dog has the best experience they can on their own terms. They also know that every dog may not be cut out for a daycare environment, but that an off-leash pack walk may be best for them and they are ready to work together with you, the care givers.